Make your design process immensely easier with these helpful tips! Too many times I've heard the phrase, "Oh! I wish I would have brought that!" 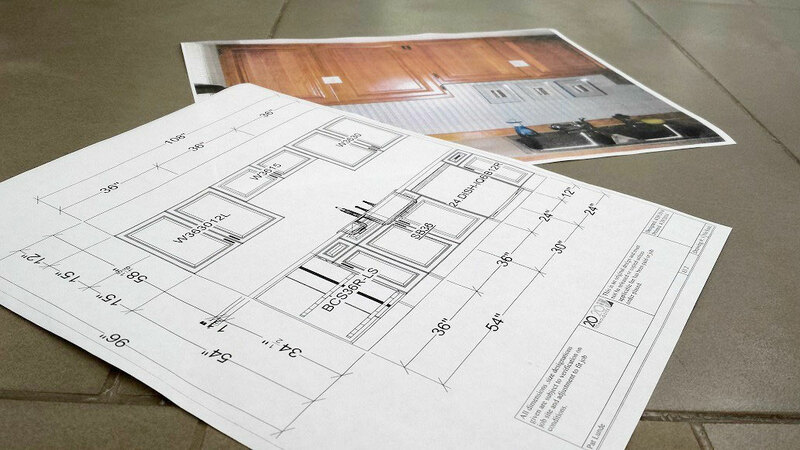 When you walk into any store looking for material for a new project, there are a number of things you can bring with you to make the process much easier and less stressful. Samples of things that are staying in the room: cabinets, countertops, flooring, etc. Why are these things necessary and how do they help when you're looking for tile? Read on to find out! Even if you're not ready to buy tile that day, having numbers available will allow you to get ballpark pricing, to figure out which patterns could work in your space, and to play with scale. 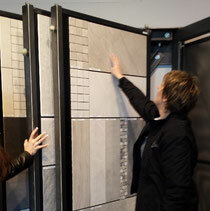 For example, if you want a large tile on your shower walls, a designer will be able to look at the dimensions of your space and say "A 24x24" tile will be too big in that space... let's look at some 18x18" options instead!" And who knows... maybe you'll spy the perfect thing, and you want to get it ordered today! Having the dimensions of your space means we can calculate how much material you'll need on the spot. It is incredibly helpful to have a picture of the space you're remodeling. It's much easier to point to a weird corner or layout in a picture and say, "That's what we have to work around," instead of trying to describe it with hand gestures and doodled sketches. Also, it gives your designer a sense of the scale of the space, of the lighting situation, and of any architectural limitations. 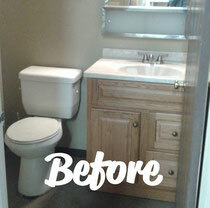 Take many pictures of your bathroom, kitchen, fireplace, or patio from many different angles for good representation. Bring Color Samples of Everything! 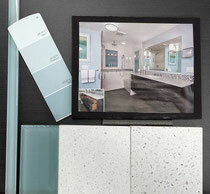 When choosing tiles for a kitchen or bathroom, chances are there are cabinets in the room. The color and style of your cabinets will affect your choices for floor tile, backsplash tile, shower or tub surround tile, and your countertop. Just saying, "Well, the cabinets are maple," or "They're cherry, but a light cherry" isn't very helpful to a designer. Stains and wood type play a big role in the final look. The cabinets could be more orange than red, or more taupe than brown, but until you put a cabinet door right next to a tile, you won't be able to tell if it will look good or not. 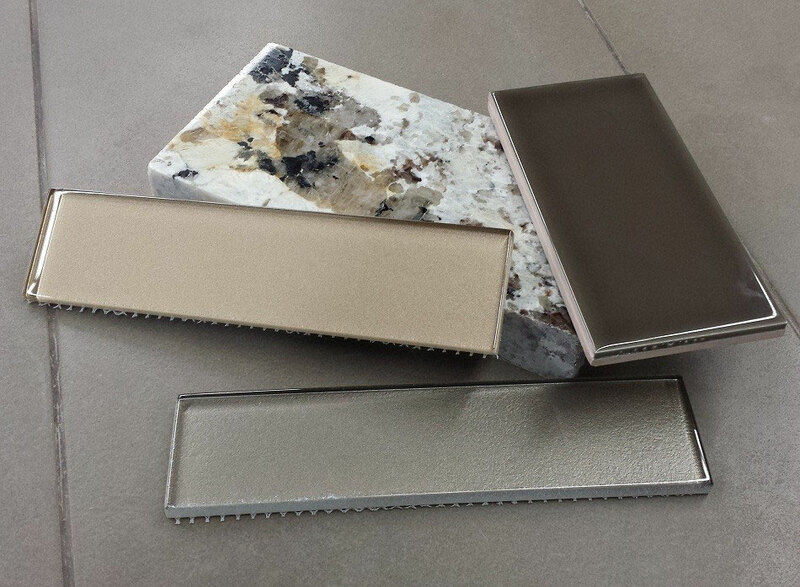 Without this granite sample, would you be able to choose the right shade taupe or antique gold for your backsplash? If you've already chosen or installed your countertops and now you're looking for coordinating backsplash, floor, shower, or wainscoting tile for the same room, having a small piece of your countertop material is essential to material selection. If it's a solid surface quartz product, we might have a sample in our tile showroom (we have samples of Cambria, Cosmos Quartz, Pental Quartz, Caesarstone, HanStone and Silestone). 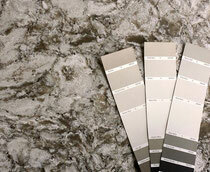 But if you have a granite countertop, even if we have a sample of the same color, it could look decidedly different. For example: "Well yes, they're both New Venetian Gold, but my countertops have much more cream, a lot less yellow, and aren't as busy as these samples." If your counters are freshly installed, ask for a small piece from your fabricator that you can use for future product selection. If they've been in for awhile and you don't have a small piece, try taking some pictures in natural light from different angles to capture the colors and pattern of your countertop. Flooring: Wood, Carpet, Other Tile, Etc. 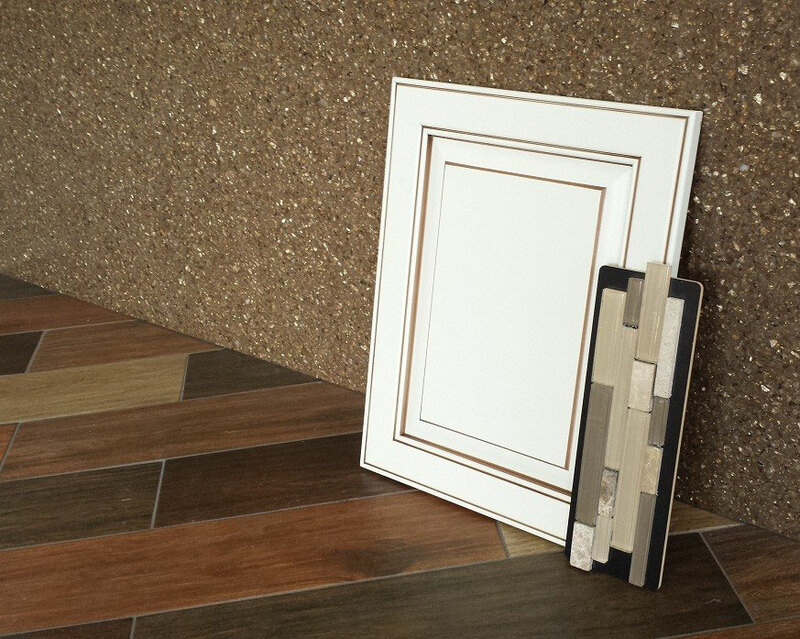 Whether you're choosing tile for a floor that's meeting up to other flooring, or whether you're tiling the walls or backsplash in a room with finished floors, having samples of pre-existing floors will help you choose tiles that complement them instead of fighting them. A swatch of carpet, a chunk of wood, a piece of linoleum... whatever your flooring type, a sample is going to help you out. + Accessories, like a cute cookie jar or your favorite vase. For many, paint is the last part of the project, because it's the element with the most color flexibility and it's easiest to change. 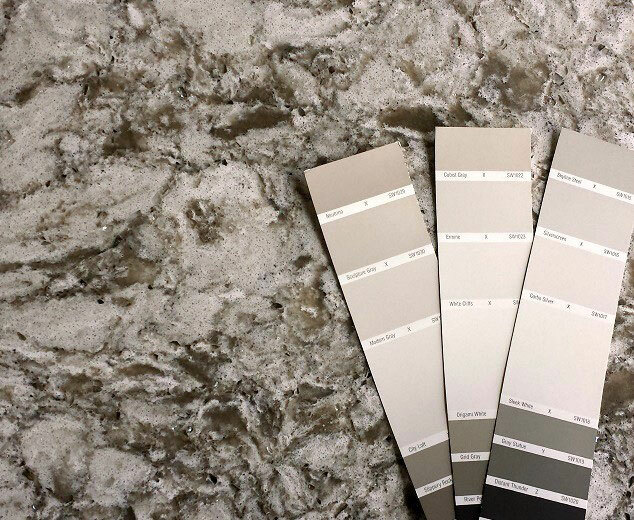 However, if your entire house is a distinctive shade of Radiant Orchid or Bayside Grey and you have no intention of changing it, paint samples are of vital importance to ensure that the tiles you choose have the right colors and undertones. Since you may not want to or be able to carry around all of these samples, the next best option is PICTURES. Lots and lots of pictures of spaces and things from different angles; some close ups and some wide shots; preferably with as much natural light as possible. You can print out pictures from your computer or at a photo developer, or just bring them in on a iPad or other tablet device. I've had a lot of customers say, "I'm not sure what I like, but I'll know it when I see it." The problem is that mindset doesn't help me help you at all! Also, it's a false mindset: you DO know what you like, you just might not know what terms to use to describe it. So what's the solution? Spend some time finding inspiration pictures and pieces, make note of what specifically you like about them, and bring them into the store! A Houzz search for "blue kitchen tile" brought up this picture of a kitchen with stunning blue cabinets and beautiful Mexican tiles. You can save it to an idea book, chat with the designers or homeowners of the space, or share it with YOUR designer! 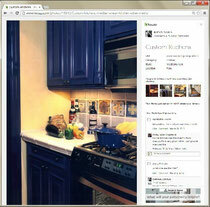 My favorite resource is Houzz.com. Using this free website with millions of pictures, you can search for pictures using keywords and phrases like "blue and white bathroom" or "Italian kitchen" or "cool tile" and save pictures you like in an ideabook. 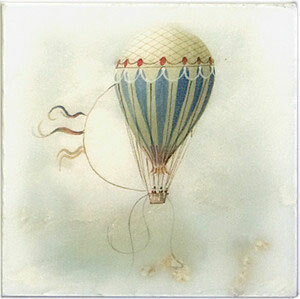 For example, you see a picture of a bathroom that's only so-so, but the color and pattern of the floor tile is gorgeous! You save the picture in your "Bathroom Ideas" ideabook with the note of "Floor is perfect, everything else is not my style." What happens next? If you have a tablet or smartphone, you can download the Houzz app and bring your ideabook with you to the store to show your designer, so they can get a feel for what you like and even recreate an inspiration room for you (if it's the perfect look, of course). You can also email us a link to your ideabook so we can collaborate on it. We pulled together wall tile, floor tile, and quartz countertop options to duplicate the style of the room in this magazine article. If Houzz seems overwhelming, there are other options for finding inspiration. Maybe your favorite home and garden magazine has a spread on a Craftsman-style house with a beautiful backsplash that sparks your interest; bring the magazine in, and we'll look for options that capture that style. Maybe you fell in love with the tile in the restaurant you visited; snap a photo (better yet, several photos) with your phone or camera, and bring those in (printed copies are preferred; they're easier to look at and won't drain your battery). Do you have an item that can act as a starting point? A hand-painted Mexican sink could inspire your powder room remodel. A favorite piece of art could inspire your kitchen design. 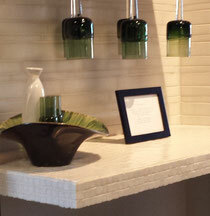 A stylish light fixture can set the tone for your master bathroom. 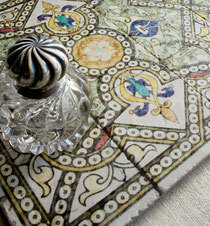 A mural you bought from a street market can become the focal point of your whole backsplash. We can easily design a room around an inspirational item, so bring in whatever inspires you! Starting from Scratch? No Problem! Lastly... even if you don't have anything at all, we still want to welcome you to our showroom to do your initial 'browse' to pick up some ideas and to see our vast selection of over 100,000 tile products, accent glass mosaics, slab counters, and more! Was this post helpful? Why not share it with a friend? 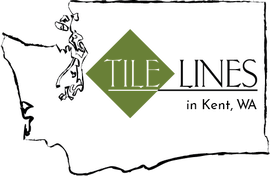 Are porcelain tiles used for backsplash graded according to quality? 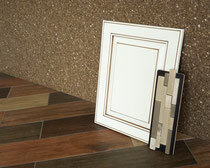 There's not really any grading or rating system for backsplash tile quality, since tiles for wall don't have to meet slip resistance or durability standards like a floor does, and quality of appearance is subjective. Porcelain tiles are the height of durability (most are rated for floor use in commercial installations), but backsplashes don't require a high-durability tile. 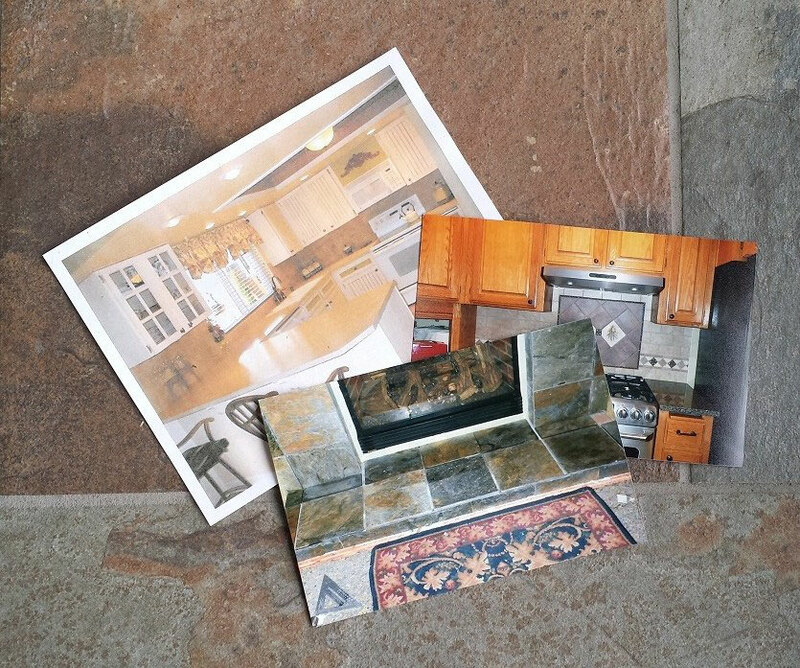 What you want to look for when talking "quality" for a backsplash would be things like print quality, color, and texture, all of which must be seen and judged in person. There's no industry rating guide for how good a product looks. For backsplashes, I recommend seeing tile samples in person. 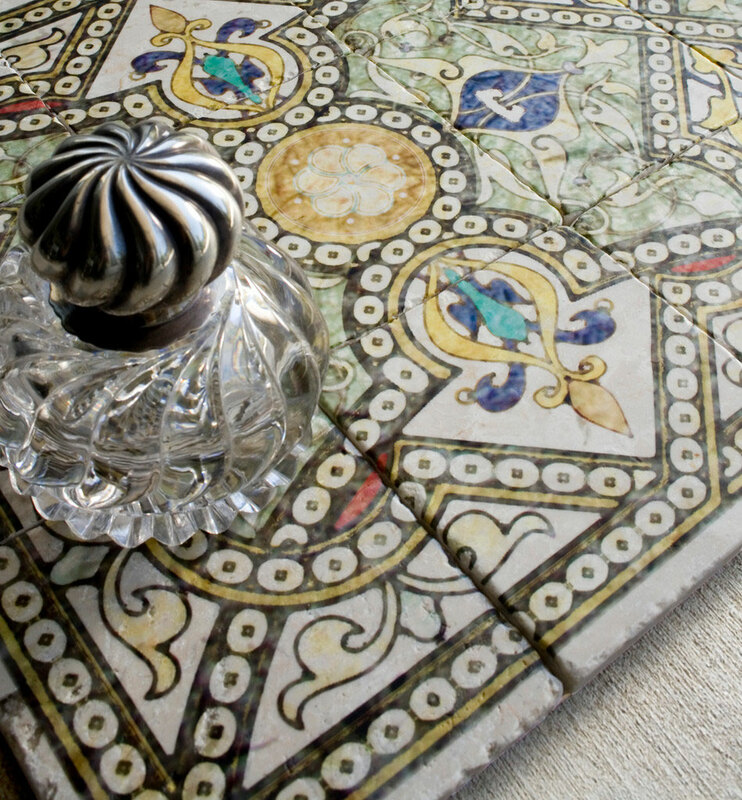 Look at the pattern variation if the tile has a pattern, look at the color in your home lighting, and feel the texture to determine if it will be easy or hard to wipe down and keep clean.